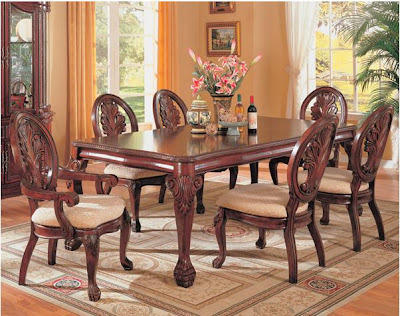 Purchased a new Dining Table set. I took another trip to Michigan and decided to check out my old playing grounds, the Palace Poker in Flint, Michigan. I flew in on a Saturday afternoon flight and didnt need to work until Monday. I spent most of Saturday and Sunday at the tables. I lost my entire buy in of $200 on Saturday, but made it all back on Sunday cashing out $507. I had a random philosophical thought and I figured I would share it here. The key to a successful life is your ability to organize. Look around you. Look at what most business is about. Business is about organizing things or ideas into a more easy to use format. The concept of organizing has been around forever, but have you ever thought about your success in life depending on how well you organize? Think about it, the better you organize things, the more successful you are. The worst you organize things, the least successful you are. Everyone has a calling. Everyone can do something well. Trying to find what that is, is really what growing up is really about. When I got my first job it was delivering newspapers. I had to organize my route and organize the newspaper so I could efficiently deliver the papers every morning. Back in the 80's I also had to collect money from most people. So I needed a system to keep track of everyone's accounts. That first job really taught me allot about life and basic business skills. My 2nd job, as a teenager, was a dishwasher at a nursing home. I really hated my first day. It was hot, sweaty and really hard work. I managed to persevere and eventually figured out how to keep the room cool with well position fans and turned myself into the best dish washer at the home. Basically, I learn to organize the dishes in such a way that I did everything in a very defined order. This job was the first time that knew that I was destine to do bigger and better things. Eventually, I went on to Engineering School. This makes for me since all good engineers have a keen sense of how things work and are able to organize there thoughts into something more useful then the initial materials that they started with.